Is Cicero the Father of Just War Theory? Who is the father of Just War Theory? Some occasional nods in the direction of Plato and Aristotle notwithstanding, this honor usually falls to St. Augustine, but there are good reasons to question that choice. Here we shall consider arguments for selecting the great Roman politician, orator and philosopher, Cicero (106 BC – 43 BC) for the distinction. At the same time we shall explore a second question, one of perhaps more practical relevance, namely whether Cicero’s writings may have unique value to inform and clarify modern concepts of just warfare. The Father of Just War Theory? 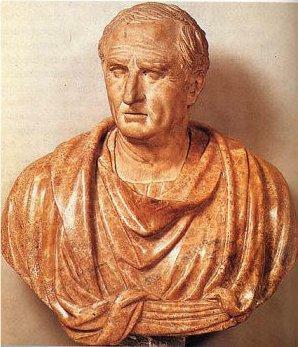 First we should note that Cicero (who wrote four centuries before St. Augustine), presents a clear just war theory, acknowledging virtually all the commonly recognized principles associated with the just war tradition. It helps that his main treatment of the subject occurs in one source, Book 1 of On Moral Duties (De officiis), written close to the end of his life. There his just war theory is fully integrated within a larger, cogent and consistent ethical framework. 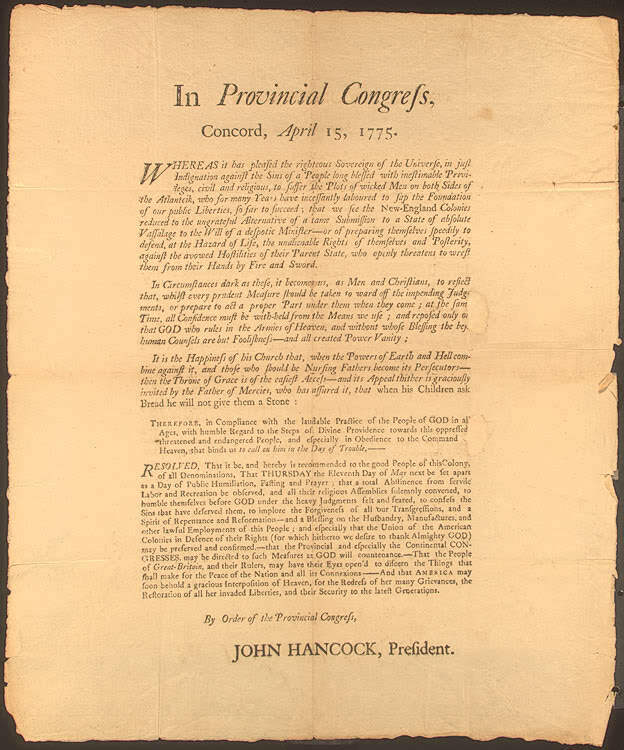 An integral connection of his just war theory to his political thought is similarly found in a single source, his On the Commonwealth (De res publica). Cicero was also a direct witness and participant in the tumultuous political changes that marked the transition between the Roman Republic and Roman Empire. These included numerous civil wars and insurrections, international wars, conquests, threats of invasions, and, in general, military conflicts of every form and scope. Moreover, Cicero was an intimate friend, relation, or working colleague of many of the other Roman leaders and generals of the age, including Julius Caesar, Pompey, Octavian, Cato the Younger, Brutus and Cassius. Combining this with his excellent knowledge of Greek history, Cicero could command an immense amount of knowledge about warfare, politics, and law in formulating his just war theory. It is of further help to us that Cicero was not just an excellent writer, but, in the estimation of many, one of the greatest literary geniuses of history, being noted for exceptionally clear prose. To these credentials we should add another important one: his unique command of the entire Greek philosophical tradition since Socrates. Educated by the best philosophers of the times, Cicero freely took and integrated what was best in each of the dominant philosophical schools that emerged in the wake of Socrates: Platonism, Stoicism, Aristotelianism, and (to a lesser extent) Epicureanism. The Socratic philosophical tradition has obviously exerted enormous impact on the Western mind, and it was Cicero who first integrated this into something like a coherent whole and considered its practical implications. One might ask, If Cicero is so important for Just War Theory, why hasn’t his role been emphasized previously? To address this we must first recognize that today’s Just War Theory has evolved almost exclusively in the Christian tradition, and Cicero has, generally, been problematic for Christian writers. Dismissing the superficial and somewhat irrelevant complaints lodged against him (e.g., that he divorced his wife unfairly, or was either too eager, or too hesitant, to oppose the ambitious reforms of Julius Caesar), some Christian writers have found it awkward to recognize the virtue and lofty morality of the pagan, Cicero. As often happened, Cicero’s ideas were absorbed by Christianity, without due credit being given. Not just Christian writers, but secular writers since the Enlightenment have also generally found little use for Cicero, perhaps because they have deprecated his strong religious orientation. A contributing factor is that one of Cicero’s most important political works, On the Commonwealth (De res publica) was lost for over a millennium until its rediscovery in 1820. The net result of these factors is that Cicero’s ideas on just war are much less known today than they deserve. A corollary of this, however, is that, as his contributions become better known, they will almost certainly achieve greater appreciation. Before proceeding further we should perhaps back up the claim that Cicero’s writings include all the main elements of what today we call Just War Theory. This topic is broadly treated by John Mark Mattox in St. Augustine and the Theory of Just War, who supplies examples from Cicero’s writings of the specific principles of just cause, last resort, comparative justice, right intention, public declaration, proportionality, discrimination, and good faith. One may also easily identify these principles for oneself with reference to a single, short section, On Moral Duties 1.11.33 – 1.13.41. A fuller treatment of Cicero’s just war principles and theory, however, rightly deserves a dedicated article or book. As already suggested, precisely because Cicero’s just war writings have been neglected by both Christian and modern writers, his works now offer the general advantage of a fresh perspective with many unique ideas. We may point to several specific examples of this, as described below. The similarities between Cicero’s Rome and today’s United States are numerous, striking, and important. Like today, Cicero’s times were ones of immense cultural and political upheaval. Rome was emerging as something like an unrivaled global super-power. The Roman military machine was unparalleled in technological sophistication. Like today, imperial expansion was judged as an economic necessity. But also like contemporary America, Cicero’s Rome was marked by a distinct sense of exceptionalism, and a conviction that imperial ambitions were not entirely selfish. That is, they were partly justified (or perhaps rationalized) as a humanitarian and mutually beneficial attempt to unite all nations in a single, civilized community, where Rome was only a ‘first among equals’. Not only was Cicero an experienced politician himself, but the work that contains the essence of his just war theory, On Moral Duties, was written specifically as a long letter of advice to his son. Cicero had every reason to expect his son would, like him, one day reach a position of leadership (the younger Cicero did, in fact, later become consul). Cicero thus imbued this work with the kind of loving attention and inspired wisdom characteristic of a parent. It is a very practical and honest work. These complex factors, when blended with Cicero’s characteristic warmth, kindness, humanitarianism and love of country, produced a highly nuanced just war theory, something we might call semi-realist in orientation, in contrast with the hard-line Realpolitik so typical today. For example, at the same time Cicero can regret as inhumane and unnecessary the Roman destruction of Corinth, yet accept as necessary (and, hence, just) the similar razing of Carthage. The difference was that Carthage was a genuine threat and (in the Romans’ eyes) a brutal enemy, while Corinth was merely a potential threat to Roman hegemony. Last, we must give special attention to the distinctly religious orientation of Cicero’s works. Modern cultural commentators have pointed to the desirability of developing a non-sectarian spiritual framework for understanding and coping with the problems of the modern world. Ideally such a framework should be compatible with basic religious beliefs common to all religions, and also congenial to secular institutions like governments, public universities, etc. Cicero’s just war theory, along with the rest of his ethical writings, is firmly rooted in Platonic-Stoic religious ideas and virtue ethics. In particular, it is wedded to Stoic Natural Law theory; this holds, basically, that all that happens in the world is orchestrated by a Divine Intelligence, and that both justice and personal happiness are achieved by acting in concord with this plan. Failure to do so – for example, to wage war unjustly – must necessarily meet with divine disapproval and corrective punishment. This provides an additional incentive for nations to act justly. Importantly, this framework establishes a basis for judging an action moral or immoral that is absolute, not relative or merely based on expedience or utility. Indeed, one of Cicero’s main philosophical achievements is to drive home the point that (in war, as generally), what is immoral can never truly be expedient or advantageous. A second, related legacy of Cicero’s Stoic leanings is his emphasis on cosmopolitanism. That is, for Cicero, all human beings, enemies included, are part of the human family, to all of whom we have strong moral responsibilities. As part of a non-sectarian religious philosophy, Cicero’s just war theory is something that can be discussed and developed by members of all religions on an equal footing – something equally acceptable to Christians, Jews, Muslims, Hindus, Buddhists, Wiccans, New Age hippies, and agnostic theists alike. At present, any serious discussion of religious or spiritual moral principles by government officials, intellectuals, or public news media is a taboo. In consequence we have totally dissociated Just War Theory from spiritual and transcendental principles, which is both ineffective and absurd. Let us, then, give Cicero’s just war theory a unprejudiced and thorough look. We may discover that Providence has, in his works, supplied many treasures. 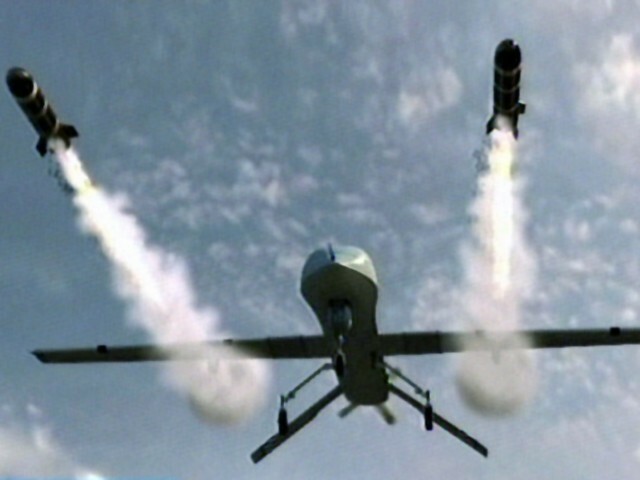 Drone Strikes: What Are the Moral Issues? As suggested in a previous post, certain ambiguities associated with drone strikes in Pakistan and Yemen make it difficult for the public to understand the issues, and for activists to mount effective opposition. Above all we must not let this confusion distract attention from the basic moral issues and harms. Therefore, in the face of constant double-talk by government officials, we respond with the potent weapons of simplicity and clear presentation of issues. To repeat what was said previously, drone strikes are of four kinds: (1) targeted killings, (2) signature strikes, (3) overt combat actions, and (4) covert combat actions. The moral issues listed below apply in different degrees to each type of drone strike. The specific moral harms can be broadly aggregated into two groups, according to seriousness. We shall name these the top tier and second tier moral issues, respectively. After presenting the issues, some brief suggestions will be made for how the US might conduct drone strikes — if they are truly necessary — in a more just and moral way. Civilian deaths/casualties. Clearly the most important moral issue is that drone strikes, especially in Pakistan, have killed or injured many innocent civilians. Serious consideration must also be given to the gruesomeness of the injuries and manner of death, and the associated effects of this on survivors and relatives of those killed or injured. Terrorization. Very plausible reports have circulated concerning the mass terrorization of civilians in the Tribal Regions of Pakistan because of drones. In some areas, drones, often several at the same time, can be heard constantly, even at night. Whenever a drone is present, nobody can be sure they will not be killed in the next instant. Racism. The civilian-to-militant casualty ratio deemed acceptable by US government officials is evidently very high. This suggests that the life of civilian Pakistani or Yemeni has comparatively little value in the eyes of the US government. So high a level of ‘collateral damage’ would be not be accepted were these British, German or French citizens. Disregard of religious customs and principles. Particularly questionable is the use of follow-up drone strikes, which attack people who come to rescue or remove bodies from the scene of an initial strike, and strikes directed against funerals of slain militants. Civilized and decent people have always granted enemies the right to collect and bury the dead. In any case, a funeral is a religious ceremony, and no moral people would attack another during a religious service. Moreover, the US has launched strikes during its own religious holidays, such as on Good Friday, and on January 1, both holy days for Christians. It is also reported that drone missiles travel faster than the speed of sound, and therefore kill victims without any advance warning. If so, this removes the possibility of praying or collecting oneself in the moments before death (however ‘unfashionable’ it may be these days to mention such an issue, it is nonetheless a significant one). Secrecy. If the strikes were just and honorable, the US government would conduct them in a transparent way, explaining its procedures and admitting and making restitution for collateral damage. But the strikes are cloaked in secrecy. The secrecy is, then, evidence that the strikes are immoral: otherwise the US government would more readily admit them and disclose details. Moreover, the secrecy is a moral harm itself: it reduces government credibility, fosters ill-will between nations, and alienates the US government from its own citizens. Effects on drone operators. It is wrong for any nation to induce its citizens to act as cold-blooded exterminators of other human beings. This is utterly incompatible with human nature, and must be producing terrible psychological damage in drone operators. Issues of international law. The drone strikes, especially in Pakistan (where citizens consistently voice their disapproval), are illegal because they violate the sovereignty of other nations. Civilian drone operators are illegal combatants under international law. Drone attacks in Pakistan, Yemen and Somalia constitute a form of undeclared war, which is illegal both under international and US law. Issues of democratic principles. All available evidence suggests that most Pakistan drone strikes are what an earlier post termed covert combat actions: they are targeting ordinary militants, not high-level terrorists. The evidence also suggests that this is done by covert collusion between the US government and conservative factions of the Pakistani government. Both governments must issue deceptive statements to their respective citizenries to cover things up. This removes the citizens from oversight and direction of their own lives. In the case of the US, it is also probable that defense contractor lobbying is instrumental in expanding the drone strike campaigns. Arms escalation. Eager use of drones and rapid development of more advanced systems by the US is setting the stage for an international drone arms race. Especially disturbing is the current development of autonomous drones, which may attack and kill without human input. Inhumane treatment of enemy militants. We are required to show respect for enemies, and to always regard them as human beings; killing by remote control is antithetical to this principle. Nonexpedience. The aggressive drone strike campaigns are also immoral because they harm US national security: the strikes produce more new enemies than they neutralize. They also erode the moral foundations of American society and damage its reputation abroad. By producing new enemies, and, consequently, potentially new wars, they threaten America’s economy. Evasion of responsibility. The drone strikes (and the global ‘war on terror’ generally), demonstrate a reluctance by the US to admit its own partial responsibility for creating global instability. The attacks of 9/11 and on the USS Cole in Yemen were morally evil, to be sure. Yet the US must honestly consider the extent to which it helped provoke the attacks by a long standing policy of crass imperialism. The US has also been complicit with the illegal efforts of Israel to functionally annex the West Bank territories of Palestine. These things do not justify the terrorist attacks on the US, but should be considered as mitigating factors in determining our response to the attacks. Dishonorable warfare. When soldiers engage under more or less equal terms, there is potentially a kind of honor associated with warfare. When one party has an immense advantage, killing becomes mere slaughter, with no trace of honor. If the US wishes to conduct drone strikes in a more moral manner, then particular attention should be given to the top tier moral issues. The main requirement is to reduce civilian casualties to an absolute minimum. This can most effectively be done by limiting the number of strikes, such as by restricting them only to targets who are genuinely direct and immediate threats to US domestic security. In any case, the CIA and Department of Defense obviously monitor strikes closely, and have data on civilian casualties. They should routinely report these data (consistent with the Geneva Conventions). If a strike is deemed genuinely necessary, the US should be able to defend it openly in the court of public opinion. The US should also issue public statements of regret for civilian casualties, and make restitution. Regrettably, the US government is continuing its shell game of distraction, disinformation, and shifting definitions to thwart any serious attempts to impose transparency on its drone killing campaigns in Pakistan, Yemen and Somalia. A good example is found in the headlines of Monday, May 21, 2012. 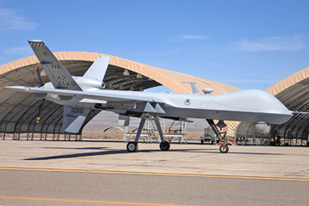 One news story reported that several anonymous government officials disclosed (off the record) certain new regulations concerning selection of drone strike targets. The new regulations probably mean very little, since, as we shall observe below, targeted strikes of terrorist kingpins are relatively infrequent. But ironically, a second story summarized the latest brief issued by the CIA in its ongoing legal battle with the ACLU (the ACLU is suing, under the Freedom of Information Act, for the government to supply more information about drone strikes, including data on civilian casualties.) The gist of the CIA response is that, even though the existence of drone strikes is common knowledge, and the government informally acknowledges the strikes, it does not officially acknowledge them, and to do so would somehow jeopardize national security. So, in short, on the same day the government is both leaking carefully prepared propaganda about the strikes in an evident move to assuage public opinion; and also refusing to admit that the CIA conducts strikes in Pakistan or elsewhere. In the face of such contradictory and confusing tactics, we, the American public have only one recourse: to doggedly pursue the truth, and to not cease asking questions until we are entirely satisfied with the answers. We must begin with clear terms, and that is the purpose of the present article. Drone strikes, that is, the launching of explosive missiles from a remotely operated aerial vehicle, come in four varieties: targeted killings, signature strikes, overt combat operations, and covert combat operations. We shall consider each in turn. Targeted killing. This occurs when a drone strike is used to kill a terrorist whose identity is known, and whose name has been placed on a hit list, due to being deemed a ‘direct and immediate threat’ to US security. The government would like people to think this means these strikes target a terrorist literally with his or her hand on a detonator. But, in actuality, the only real criterion is that the government believes the target is sufficiently closely affiliated with terrorist organizations (e.g., a propagandist or financier) to justify assassination. This is likely the rarest form of drone strike. However it receives the most publicity, because the government likes to crow when it kills a high-ranking terrorist. Signature strikes. In signature strikes, the target is a person whose name is not known, but whose actions fit the profile (or ‘signature’) of a high-ranking terrorist. There is some ambiguity concerning the meaning of this term. Some use it in the sense just stated — i.e., a strike against an anonymous terrorist leader. Others use it more broadly to include killing of any non-identified militants, whether high-ranking or not. However from the moral standpoint it makes a major difference whether an anonymous targeted victim is a high-level leader, or simply an anonymous combatant. For this reason it is advantageous to restrict the term “signature strike” to the targeting of anonymous high-level leaders, and to assign strikes against anonymous non-leaders to the two further categories below. Overt combat operation. This category includes drone strikes conducted as part of regular military operations. These strikes are presumably run by uniformed military personnel according to codes of military conduct, and are, logically and legally, not much different from ordinary air or artillery strikes. As a part of routine warfare, such strikes are subject to the provisions of the Geneva Conventions. Three items of the Geneva Conventions are of special interest here: (1) strikes should occur only in the context of a legally declared war; (2) they should be conducted by lawful combatants (which, many experts believe, excludes use of non-uniformed, civilian contractor operators); and (3) standard provisions concerning the need to report casualties, especially civilian casualties, are in effect. Covert combat operation. Finally, there are covert combat operations. These, like the former category, are launched against usual military targets – e.g., any hostile militant, not just high-ranking ones. But why should these strikes be covert? The obvious answer is: to mask something shady. Covert combat strikes can evade all those irritating constraints on military tactics imposed by the Geneva Conventions, International Law, public opinion, and basic human decency. The specific terms used above to distinguish these four kinds of strikes are admittedly arbitrary, and perhaps some other nomenclature would be more advantageous. But we need some fixed set of terms to refer to these fundamentally different kinds of strikes. Without such terms, the US government will continue to have its way by relying on public confusion and terminological sophistry. For example, if there is only a single generic term, the government may issue a claim such as “drone strikes comply with international law.” This is perhaps technically true for, say, overt military drone strikes, but it is not true for signature strikes. With more precise terms, it would be more difficult for the government to mislead the public. The last two categories of strikes correspond to what (according to the New York Times) the Department of Defense calls TADS, for Terrorist Attack Disruption Strikes. This term is a misleading euphemism, however. It invites the interpretation that such strikes aim to disrupt potential terrorist attacks on the US. But what these strikes actually seek to counter are things like cross-border raids from Pakistan to Afghanistan, attacks on supply lines, militant engagements with US forces, and actions of insurgents within their own countries. Statistical tabulations compiled by the Bureau of Investigative Journalism and other sources show convincingly that most strikes in Pakistan must belong to the last category, covert combat operations. The sheer number (300 strikes, with thousands of casualties) rules out targeted killings and signature strikes: there simply aren’t that many high-level terrorists. What seems much more likely is that the US military feels the need to attack Taliban fighters within Pakistan – both to prevent Afghan Taliban members from hiding in Pakistan, and to counter strikes by the Pakistan Taliban and affiliated groups on NATO supply trains. This, of course, is completely illegal, inasmuch as the US is not at war with Pakistan, or, for that matter, with the Pakistan Taliban. “But”, drone strike zealots will plead, “what if we have the permission of the host government to conduct strikes in their territory?” This is bogus logic to begin with. Suppose some brutal dictator gives the US permission to launch drone strikes against innocent civilians in his country? Would that permission somehow make the strikes just and legal? And in any case, what good does such permission mean if it is not public, not acknowledged by the host country? What really appears to be going on in Pakistan is this: the US military in Afghanistan has a decided military interest in launching combat operations against the Pakistan Taliban. However, this is illegal. Meanwhile, conservative factions of the Pakistani government would love to see the Pakistan Taliban eliminated. Unfortunately, the hands of this faction are tied by an uncooperative and unreliable military, and by other powerful Pakistani factions that are not so interested in seeing the Taliban destroyed, and certainly not at the price of trashing national sovereignty. The solution is obvious. The Pakistani conservatives give a wink and a nod to the US to do the dirty work. “You launch the strikes, then we’ll officially disapprove of them.” This works until the toll of innocent civilians killed by the strikes becomes too great, and pressure mounts on the Pakistani government to denounce them. But, as modern politicians understand so well, the public has a short attention span. All that need happen is for the strikes to subside for a few weeks until the anger abates, only to begin again. To summarize, the US government thus far has promoted and capitalized on public confusion about the nature and purpose of drone strikes. Most strikes in Pakistan and Yemen are likely covert combat operations. The government, however, would gladly have the public believe these are targeted killings and signature strikes against high-level terrorists. As covert combat operations, the strikes are illegal under international law, and extremely harmful to US dignity and security. Further, unlike targeted killings or signature strikes, which might potentially prevent a terrorist act, collateral civilian damage of covert combat drone strikes is unacceptable. John Uebersax is a psychologist, writer and former RAND Corporation military analyst. 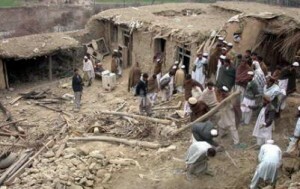 On 30 April 2012, counter-terrorism czar John Brennan, in remarks delivered at the Woodrow Wilson Center for Scholars in Washington DC, attempted to present the clearest legal and ethical justification so far for America’s anti-terrorism policies, including drone warfare in Pakistan and Yemen. An optimistic interpretation of the speech is that it signals a new attitude of openness and transparency in the Obama administration’s approach to drone strikes. A more cynical view is that Brennan’s remarks offer mere rationalizations for a policy pursued for more dubious motives. The truth is likely somewhere between these two extremes. 1. It remains ambiguous as to whether the claimed legal and moral justification for drone strikes derives from a war paradigm, a criminal justice paradigm, or some different paradigm altogether. This administration, like the previous one, seems to flip-flop on this question, choosing either position to suit its interests. Brennan’s comments, which included references to the killing of German and Japanese commanders in World War II, seem to lean towards the war paradigm. However: if drone strikes are considered acts of war, then international law does not recognize civilian drone operators as lawful combatants. More generally, why wouldn’t the US be bound by the Geneva Conventions? These would require that the US be much more cautious to avoid civilian casualties (and, I believe, to report them when they occur.) Another particularly offensive point in this regard is the alleged follow-up strikes which target militants (or others) who come to recover bodies of victims of an initial strike. 2. Again, if we are following a war paradigm, is there not a moral requirement to attempt negotiations, or at least some sort of discussions, with al Qaida? This would seem to follow directly from the ‘war only as last resort’ principle of just war theory. 3. Brennan contended that drone strikes in Pakistan and Yemen are aimed at killing high-level commanders of al Qaida and affiliated groups – because they constitute a direct threat and are involved in planning or implementing terrorist acts against the United States. However, it is the general perception that the drone war in Pakistan is primarily an extension of the Afghanistan war – i.e., directed at least as much against Taliban militants (who pose no direct threat to the US) as against al Qaida. Failure to consider this point seems, at the least, somewhat disingenuous by Brennan. 4. The monochromatic portrayal of al Qaida as an international terrorist organization with no aim other than harming the United States is surely incomplete. Rather, it would seem that, at least as an immediate priority, al Qaida factions in Pakistan, Yemen, Somalia, and elsewhere, are more concerned with regime change in their own countries than in attacking the United States. It is hard to believe that an al Qaida field commander in Pakistan or Yemen, engaged in a dire struggle against domestic military forces, has much spare time to master-mind a terrorist attack within US borders. 5. Supporting the previous point, note that al Qaida actively participated in the Libyan coalition to overthrow Colonel Gaddafi in 2011. In that sense, the Libyan al Qaida factions were de facto allies of the United States. 6. We must also not neglect to mention the role that the illegal Israeli occupation and virtual annexation of the West Bank plays as a motive in al Qaida activity. The Obama administration seems to accept that the occupation is illegal. Should this not then be seen as a mitigating factor in measuring our response to al Qaida (i.e., a reason to be proportionately less extreme in application of force)? 7. Brennan’s assertions that our drone strike and other counter-terrorist actions are working is less than fully credible. The strikes are winning no friends internationally. Clearly they are making Pakistanis angry; and, while there are no firm facts and figures available, the possibility that this is drawing new recruits to al Qaida and other insurgency groups must be taken seriously. 8. Brennan’s remarks do not indicate that he or President Obama recognize that drone strikes are morally different from other forms of warfare in these three important respects. First, the very presence of drones in the skies must be seen as terrorizing. Second, drone assassination is like shooting fish in a barrel or extermination of animals; their use is inherently inhumane. Third is the dehumanizing effects of requiring drone operators to act as exterminators — a far cry from what used to pass as ‘honorable warfare.’ If you’re being shot at yourself, risking life an limb, its undoubtedly easier to soothe a conscience over the killing of another human being. Drone operators do not have this remedy. This seems unusual. One would think that, for a Christian or other religious person, prayer is not only a condition of just warfare, but arguably the most important one – because it properly emphasizes the absolute authority and power of God in determining human affairs. The Roman statesman and philosopher Cicero, the subject of several recent posts here, never specifically identified prayer as a condition for just warfare, but the principle follows from his religious and moral orientation. He did stipulate that war must be formally declared, and in Rome that was a function of the priests; the Roman Senate might propose a war, but the decision was ultimately a religious one. Augurs, and sometimes the Sybilline Books were consulted. If the omens were inauspicious, war was not commenced. This acknowledged the ancient religious principle that the gods (and God, in whom Cicero believed) would reward pious humility, and punish impious hubris. Such a view was by no means limited to the ancient world. 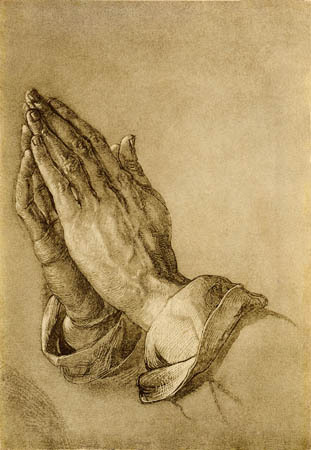 From colonial times onward, and as recently as the early 20th century, Americans were officially urged by the government to communal and private prayer in times of war or impending war. Scores of official proclamations of Days of Humiliation, Fasting and Prayer were issued by the federal and state governments. A representative collection of these can be found here. The curious thing is not that our forbearers thought that prayer to avert war was so important, but that we are so negligent in this respect today. There is today a lack of any firm sense that war may represent a judgment from God, merely delivered by the hand of the enemy, and that the first and best response to impending war should be humility, confession and reformation. Some might say that, while prayer before war is certainly a Christian duty, it is not a requirement for a war itself to be just. To this one might respond that a requirement for prayer follows from the just war principle of right intention: only a person (or nation) who has heartily prayed can have any reasonable assurance of right intentions. prayer for enemies: that their anger may be turned; that their judgment may be improved and God may guide them away from aggression; that they may be spared God’s retribution; for their welfare, and for their salvation. It follows from the same principles that not only should such prayers be offered before war commences, but for as long as it continues, and that failure to do this indicates an unjust attitude towards war.